The Zone Air Cleaner is perfect for cleaning the air in any room or space where airborne dust is present. The Zone Air Cleaner mounts easily on the ceiling or wall and polishes the air for a healthy work environment. Breathing airborne dust can have many adverse health effects including cancer, trouble breathing and allergic reactions. The ProVent Zone will help minimize these risks. 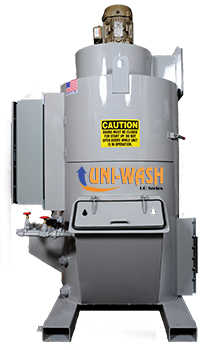 Powerful, efficient, and built to ProVent standards, the Zone will help you breathe easy knowing that people in your shop or manufacturing facility are protected. 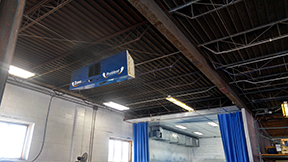 Call us today to find out more about how ambient air filter can be used in your facility. The zone is available in stainless steel that can be painted or unpainted. Hanging eye bolts and chain is available for mounting your Zone Ambient Dust Collector. Upgrade to HEPA filtration. 99% down to .3 micron!